Cyrsti's Condo: Doing It Right in the UK! Doing It Right in the UK! 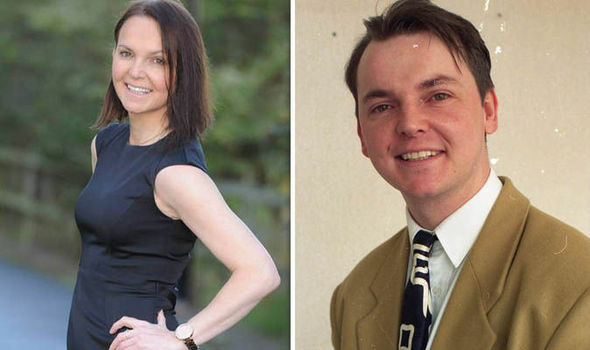 "Transgender newsreader India Willoughby is joining an all-female Celebrity Big Brother house – alongside ultra-conservative Ann Widdecombe. Before and after "India Willoughby"
The pair are both signed up to appear on the Channel 5 reality show, which launches tonight. ﻿"
She (India) made a return to the airwaves in 2016 as a woman – and has since become a prominent columnist, as well as a panellist on Loose Women. The transgender journalist and presenter will be walking on eggshells in the house, as joining her will be former Tory MP Ann Widdecombe. Widdecombe is a lifelong critic of LGBT rights, who recently spoke out against Prime Minister Theresa May for vowing to support transgender rights at the PinkNews Awards. To my knowledge, the American version of the show has ever only accepted one openly transgender woman onto their show. Should be interesting! I am sure Paula Goodwin (from the UK) may tune in! Thanks, but no thanks. This is a terrible show, playing to the lowest common denominator with the participants only being out for a bit of self promotion. India is our Caitlyn Jenner, a high profile Trans Woman who by her very presence helps to normalise the concept, but actually is not that popular amongst the community for some of her thoughtless comments.